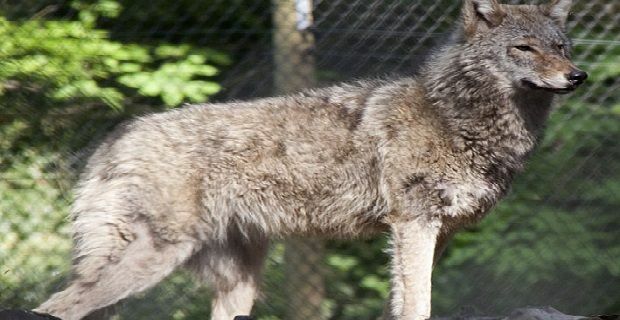 Police are on the hunt for a missing wolf that escaped from Colchester Zoo in Essex. According to Essex Police, the wolf is on the loose on residential streets after making an escape through a fence at the zoo on Tuesday. In all five wolves escaped through the broken fence, but one came back immediately and another was stopped with a tranquiliser dart. Two more were shot and killed as “they were further away and an anaesthetic dart takes 15 minutes to take effect,” so they would have also escaped according to the zoo’s statement. That left the one escapee which police are now trying to trace with the help of the public. A police helicopter has also been drafted in to assist with the operation. There have been reports of sighting of the animal and the police have been using social media to update everyone on their progress. One tweet said: “Positive sighting of escaped wolf near @ColchesterZoo and area being contained.” But so far the animal remains on the loose. The zoo is naturally distressed at this incident, “Colchester Zoo’s keepers have been devastated by the loss of two of their beloved Timber wolves,” they said in a statement. The zoo is trying everything to find the animal, even using a thermal imaging camera to scan the surrounding area for the missing wolf.